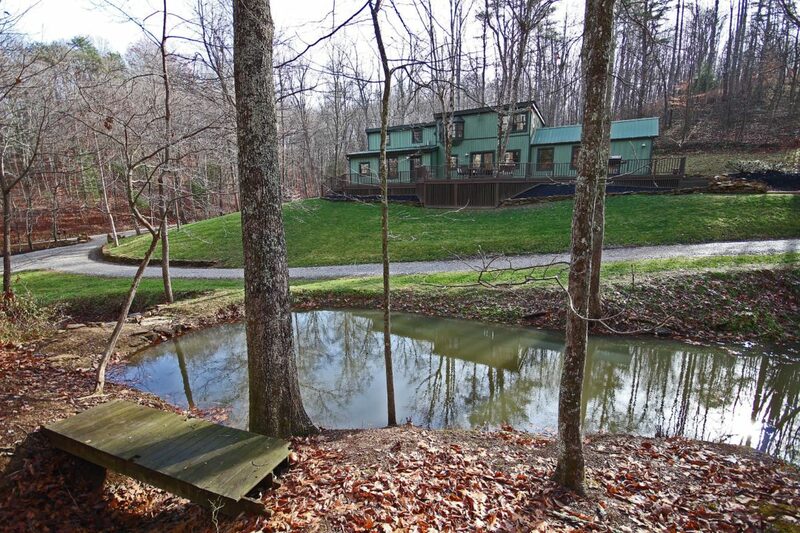 An expansive exterior deck surrounds this one-of- a-kind cabin getaway in Hocking Hills. 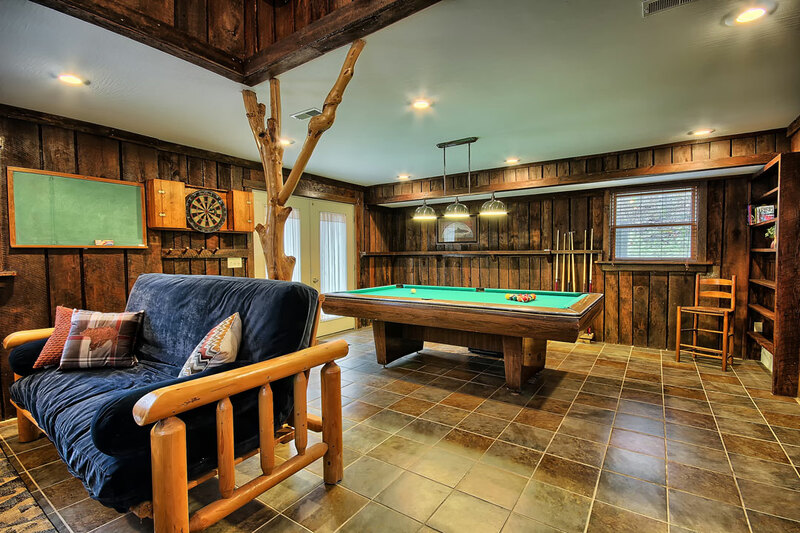 And, with nearly 2,000 sqft of unique custom finished living space, including a separate game room, there is plenty of room for the family to spread out. Two Trees is part of our Buck Run location, consisting of 14 heavily wooded acres, 2 small ponds and a lagoon. 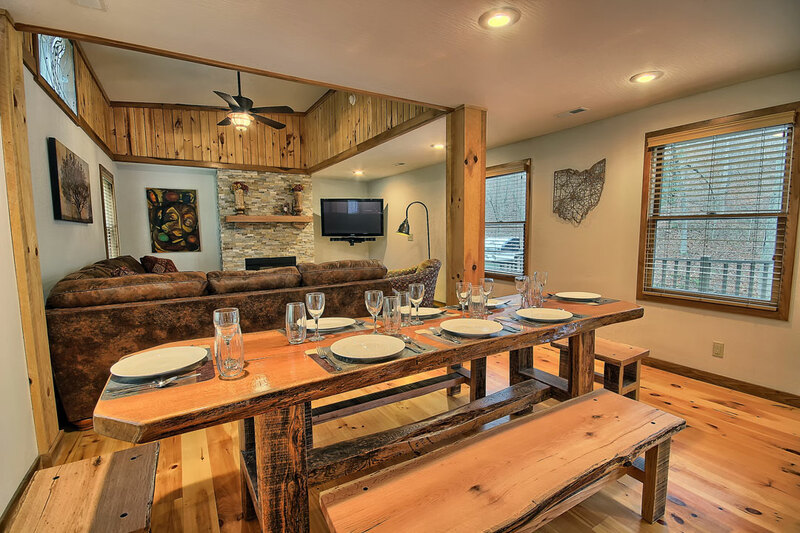 Base rate price range is $150 (2 ppl) – $375 (6 ppl) per night. Max. 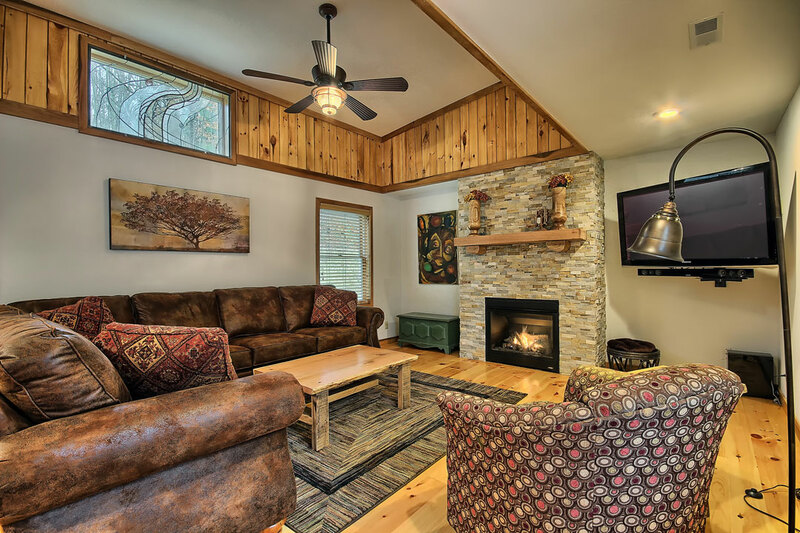 Occupancy is 11 guests (cabin sleeps 8 Adults comfortably). A 13% sales & lodging tax will be added to all reservations (tax rates subject to change without notice).